It&apos;s all about pairing great pants with great shoes. Sure, you can keep it traditional by matching kicks with jeans, or dressy slacks with boots and loafers, but why not mix it up? In fact, the right pair of running or training sneakers with slimmer-fitting dress pants can look really cool if you have the confidence to back it up. 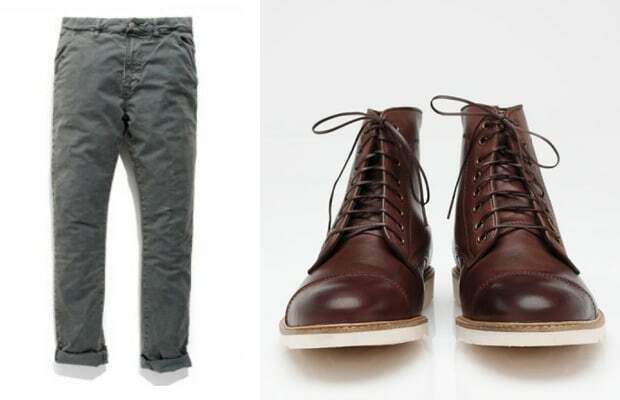 If you&apos;re not a risk taker, then just pair slim khakis with boots like H by Hudson, denim with understated sneakers like Vans or New Balance 574s, and suit pants with chukka boots.